"And God said: Let there be lights in the expanse of the sky to separate day from night; they shall serve as signs for the set times – the days and the years” " (Genesis1;14). In Judaism years are numbered from the date of the creation of the world as related in Genesis. To this day we use the sun, the moon, and the stars to determine the date and the seasons. In the Hebrew calendar, sunset and the appearance of the stars mark the beginning of a new day. The week is defined by the six days of creation, and the seventh day is the holy Sabbath, on which God rested from His endeavors. The cycle of the Jewish year is displayed in the gallery according to festivals and other occasions that have similar contents. The Sabbath is in the center. Next to it are the three pilgrimage festivals that preserve the memory of formative events in the history of the Jewish people, around the time of the Exodus from Egypt: Passover, Shavuot and Sukkot. Among the rare and impressive objects relating to these festivals on display is a Seder plate from pre-expulsion Spain (ca. 1480). It belongs to a small group of Jewish ceremonial objects that survived the expulsion from Spain. Another interesting object in the gallery is the Sukkah from Fishach, South Germany. It was in the 19th century and smuggled to Jerusalem when the Nazis came to power. Rosh ha-Shana and Yom Kippur and days of remembrance are represented in the gallery. Hope and expectation for a good year are intermingled with apprehension, self-scrutiny, and atonement for one's sins. Next to the High Holidays are objects and art works relating to dates that were set by law at the time of the establishment of the State of Israel: Holocaust Remembrance Day and Memorial Day in memory of the soldiers and security forces, underground fighters and fighters in the British Army and the victims of terrorist attacks. 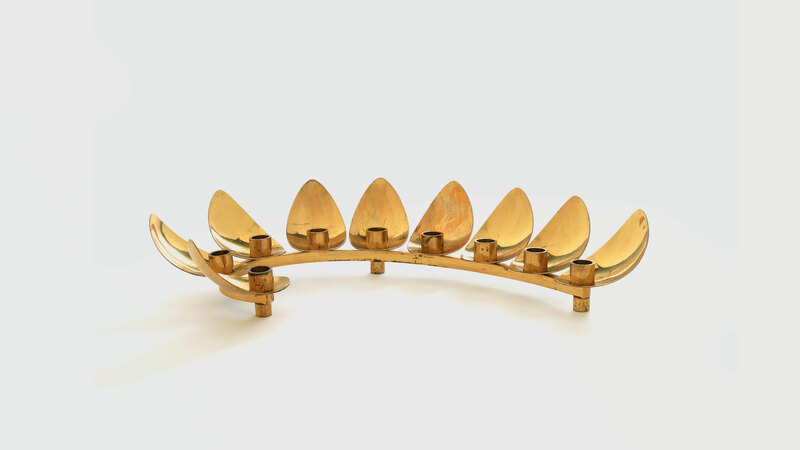 In the gallery that evokes dates of exultation and joy, when the Jews were miraculously saved from annihilation, one can see objects relating to Purim and an exceptional display of tens of Hanukkah lamps from around the world.